May 14, 2012 -- (Santa Ana, CA) ULTRA TEC Mfg, Inc. is proud to announce the availabilty of a new modular upgrade for its ASAP-1 IPS Digital Preparation System. The Thermal Relaxation Stage provides a patent pending method of flattening stressed and bowed dice within packages, allowing for greatly improved parallelism and flatness in subsequent backside thinning and polishing operations. A precise temperature can be set for a known part or raised in intervals until the optimum surface flatness is achieved. A hotplate mode allows for fast and accurate sample mounting and de-mounting, 'in situ', with standard lab adhesives such as Crystal Wax. The Thermal Relaxation Stage joins ULTRA TEC's unique line of modular upgrades for the ASAP-1 IPS system -- namely FORCE FEEDBACK, and CURVATURE CORRECTION. 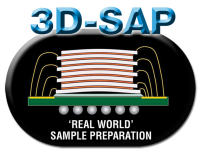 These upgrades supplant the FA Engineers toolkit for the improved preparation of 'real world' packages -- the suite of solutions being dubbed "3D-SAP". For more information, visit www.ultratecusa.com or call us on +1 714 542 0608.